The future of Houston's Citgo Petroleum is taking center stage in a federal appeals court this week as creditors for its parent company, Venezuela state-owned PDVSA, continue attempt to recoup billions of dollars in debt owed by the Venezuelan government. Oral arguments were heard Monday afternoon in the U.S. Third Circuit Court of Appeals in Philadelphia the case involving one of PDVSA's creditors, Crystallex International Corp. a defunct Canadian gold mining company seeking to collect on $1.4 billion award owed by Venezuela. Crystallex has targeted the Houston refiner Citgo Petroleum Corp. because it is the biggest U.S. asset of the crisis-ridden, cash-strapped Venezuelan government. In August 2018, a federal judge agreed that PDVSA's assets in the United States., namely Citgo, could be used to satisfy Venezuela's debts owed to Crystallex and now that decision is under appeal.It could take weeks for the panel of three judges to make a decision on the appeal. Last month, the court approved Venezuela's opposition government, led by interim president Juan Guaidó,to intervene in the case. Guaidó is trying to stop Crystallex and other creditors from carving up the country's foreign assets. His administration is arguing Citgo's loss could harm the country's chances of political and economic recovery. Venezuela already has paid Crystallex $500 million and attorneys for Guaidó's administration argued in court documents that Crystallex's additional attempts "ignore the economic reality of the Republic's humanitarian and economic crisis." They also said it could upset U.S. foreign policy. Guaidó, who is recognized by the United States as Venezuela's legitimate leader, is trying to consolidate control over the country's assets abroad as he seeks to setup his government-in-waiting for rebuilding the country once it wrestles control away from Nicolas Maduro's regime. In February, Guaidó successfully replaced Citgo Petroleum's board of directors with new leaders in Houston. For the past few years creditors have circled Citgo, which is valued at up to $8 billion by some analysts, as they seek to recoup billions owed to them by PDVSA and the Venezuelan government. Venezuela previously has settled similar debt-collecting lawsuits with Houston company ConocoPhillips and Rusoro Mining Ltd. Similar to Crystallex, these companies sought to enforce arbitration awards after a nationalization campaign expropriated their Venezuelan investments. But the Trump administration wants to keep Citgo intact to help the new government rebuild the country ravaged by economic and political turmoil, hyperinflation and shortages in food, water and electricity. 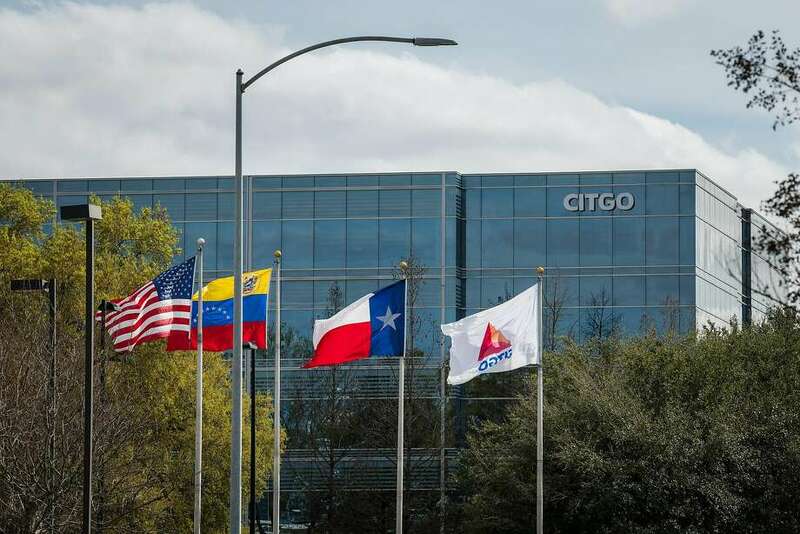 The Trump administration has granted Citgo certain exemptions from U.S. oil sanctions against Venezuela and PDVSA to allow Citgo to continue operating and preserve at least 3,400 jobs in the U.S., including about 800 in the Houston area. Citgo has distanced itself from the Maduro regime and recently secured a $1.2 billion loan help fund its daily operations. Separately, Citgo is also under threat in a 2020 bond PDVSA took out with Citgo as collateral. PDVSA has an April 27 deadline to pay $71.6 million for a 2020 bond; it default bondholders could exercise a lien to sell 50.1 percent of Citgo Holding to recover their losses, according to the international investment bank and consulting firm Caracas Capital Markets.